Schools and other projects - dharapcess Webseite! This building is presently being prepared to be used and expand our hosting capacity of the school. 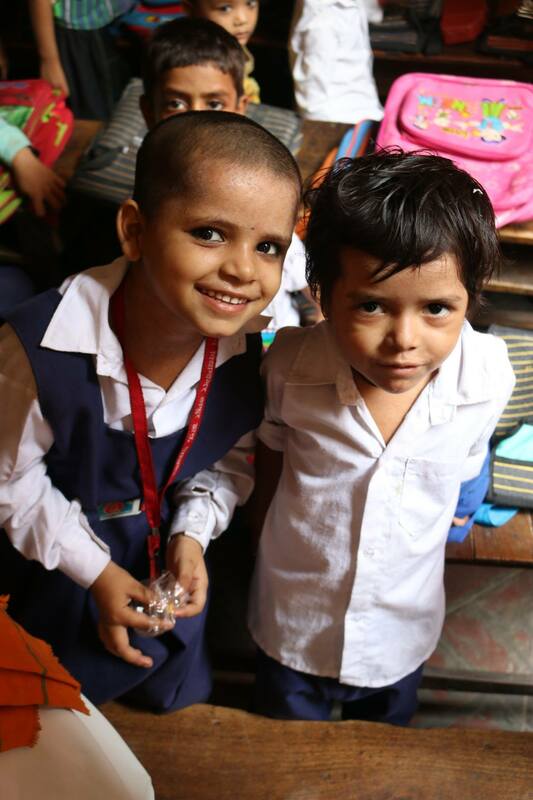 It provide co-education to children without a barrier of caste, religion, gender or any other social discrimination. Children from all religion, caste and gender study together. DCA was founded in 2014 and is providing free education to children from extremely poor back ground e.g. street children, children facing caste, social, gender discrimination. From LKG till 5th class. 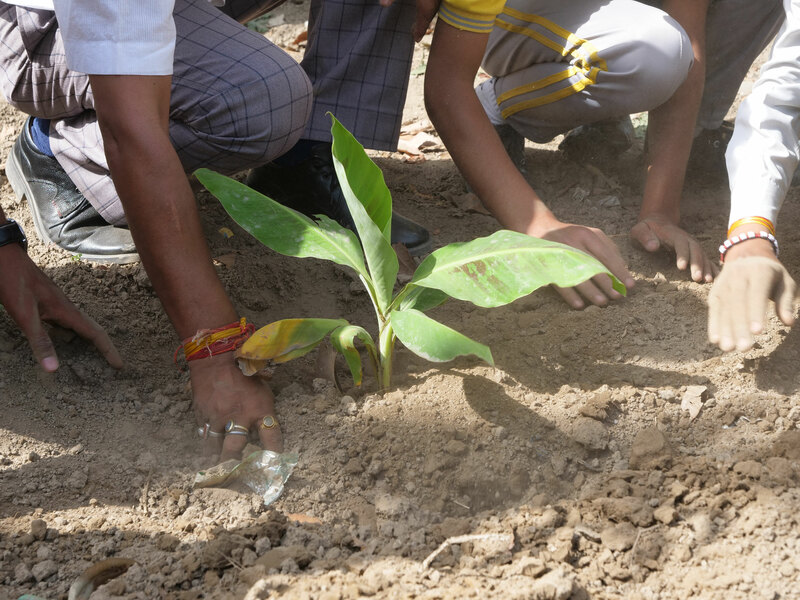 After successful completion of 400 tree plantation in the local neighborhood in 2017, PCES family decided to plant 1000 in year 2018. 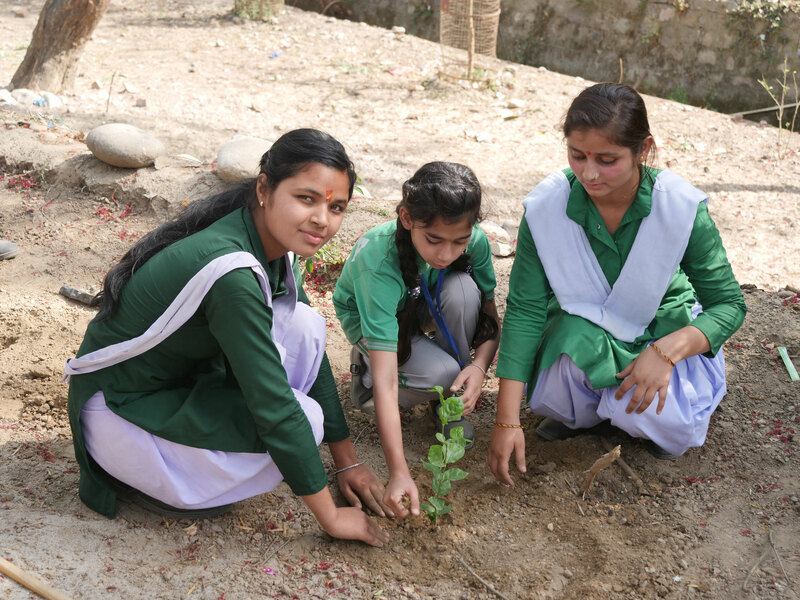 Trees are planted via Environmental class of the schools which are supported by us. 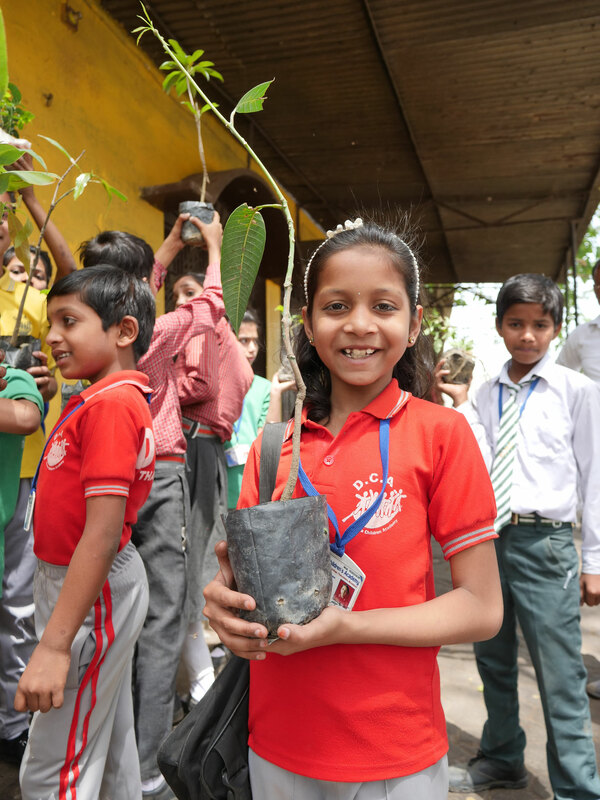 Children gets tree, go in field, plant and take cares of them. 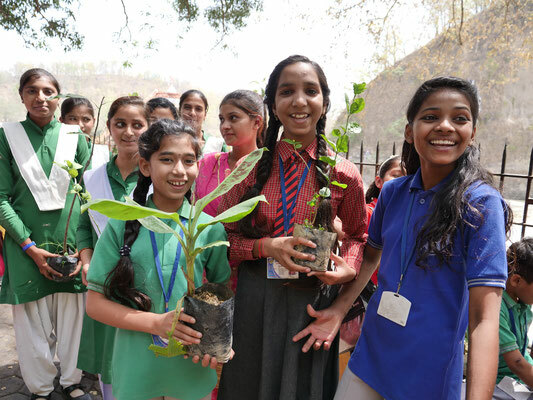 Children learn how to grow their own vegetables and food. Children get the plants from us and are free to plant it anywhere they wish to e.g. at their home, along the road side, garden. Four times each year, we plan school trips to near by national park and trees are planted during these trips as well. Some donation (4-5 euro/plant) for plantation project. We are supporting education to children in need. 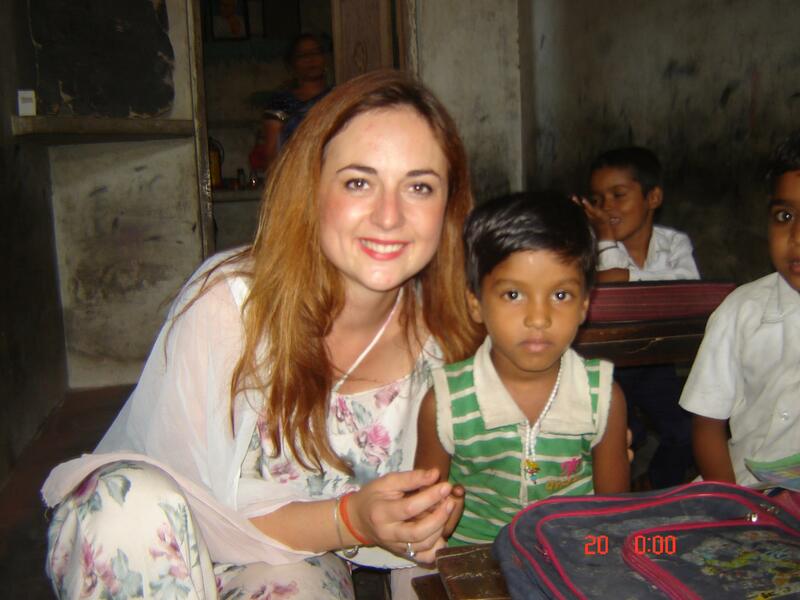 In this school, modern education is combined with Vedic schooling system. Therefore, children not only learn modern education but also learn "how to live a happy life and become good human". Children from extremely poor back ground e.g. street children, children facing caste, social, gender discrimination. Day begins with a meditation, followed by several exercises for positivists, self confidence and trust in life and ends with a meditation. We are thank for "Hannah Duscher" for developing these exercises for our schools. From LKG till 8th class. 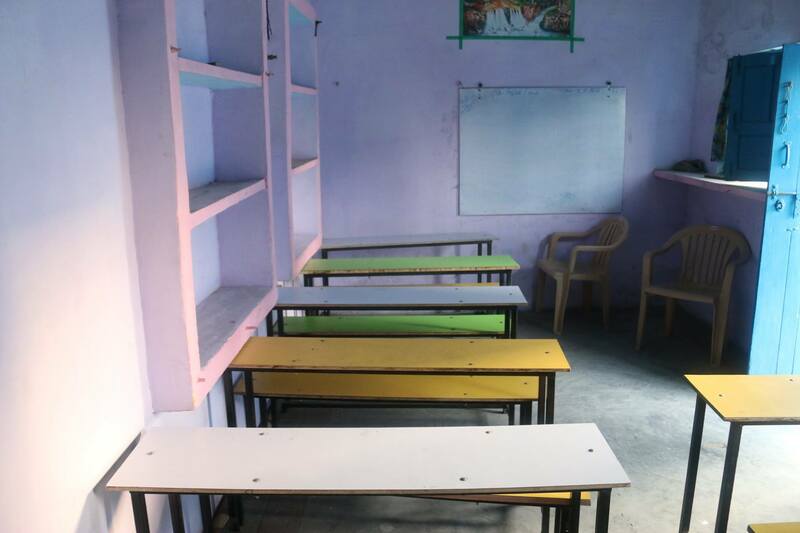 This school is operated with very basic facilities in the middle of a labour community. The children from farmers, street beggars, riksha drivers and other daily labour class parents are being educated. From LKG till 8th class. This school is located in a small village and provide education to children from nearby area. 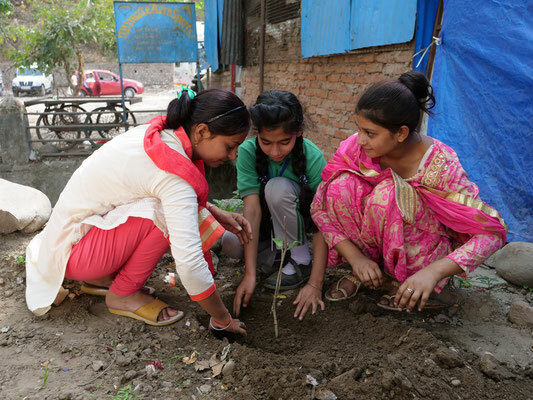 The children from farmers, street beggars, riksha drivers and other daily labour class parents are being educated. From 5th till 12th class. Solution for solving electric supply cutoff issues (Solar PV) for school. Location: Mohalla Nai Basti, Dist. Moradabad U.P. 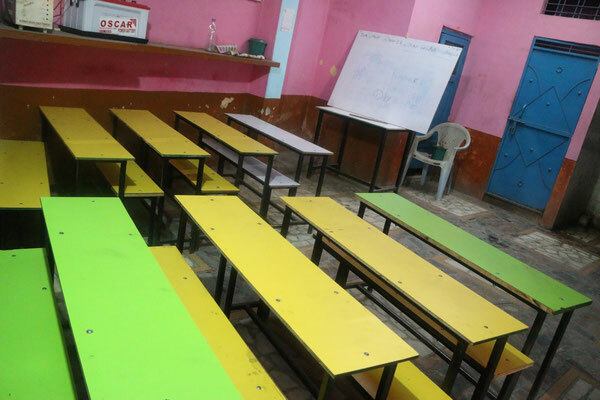 This school is located in the middle of a Muslim dominated poor community and is enabling girls and boys to study and get scientific education. From LKG till 8th class. 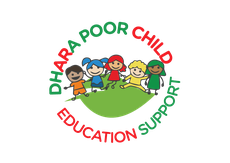 DCA was founded in 2014 and is providing free education to children from extremely poor back ground e.g. street children, children facing caste, social, gender discrimination. From LKG till 5th class. 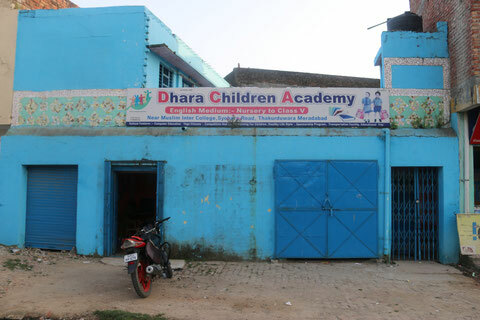 At present 109 children are attending the school. With help of GFF, we have installed Solar PV system for this school and from 2017, this school is running 100% of renewable energy. It is grid independent school. 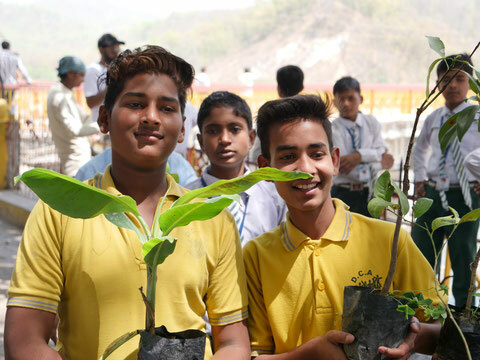 This school is located in the middle of a Muslim dominated poor community and is enabling girls and boys to study and get scientific education. From LKG till 8th class. At present due to very limited financial resources, class rooms are open and there is no tables/chairs for students. Renovate the building, place door, windows sothat class rooms are closed and are not freezing cold in Winter season.